Today: Don't throw away leftover egg whites -- make meringues with whatever you've got, no recipe needed. When you make lemon curd or crème brûlée, you save the leftover egg whites for meringues right? Egg whites keep, covered in a clean glass jar in the fridge, for up to two weeks, or in the freezer for heaven knows how long. 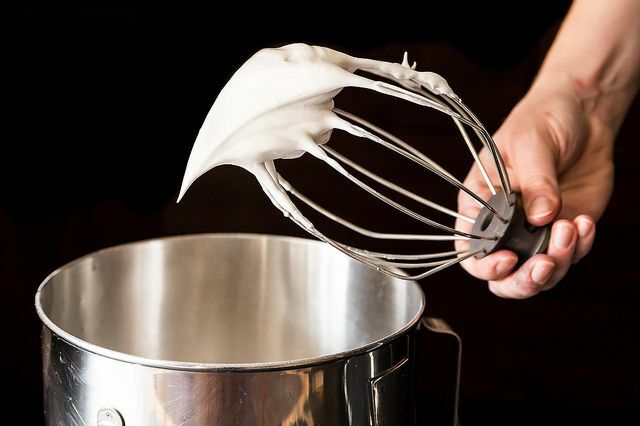 Since meringues are nothing more than sugar and egg whites with cream of tartar or vinegar for stability, all you need is a ratio (egg whites to sugar to cream of tartar) plus baking details (time, temperature, and pan preparation). Here’s an example: If you have 1/2 cup leftover egg whites, you will need 1 cup of sugar plus 1/4 teaspoon of cream of tartar or 1 teaspoon of vinegar. If you have 1/3 cup of egg whites, you need 2/3 cup sugar, etc. Heat the oven to 225° F and position a rack in the center or two racks in the upper and lower thirds of the oven. Line baking sheet(s) with parchment paper. Drop (or pipe) rounded tablespoons of meringue 2 inches apart on the lined baking sheets. Or, spread larger amounts of meringue in discs 1/3- to 1/2-inch thick. Bake for 1 1/2 to 2 hours, rotating the pans from top to bottom and front to back halfway through the baking time. Turn the oven off and leave the meringue inside to cool completely. As soon as the meringues are cool, put them in an airtight container to prevent them from softening. They keep for several weeks, so long as they stored in an airtight container. • Meringue should be baked as soon as it's mixed, so don’t mix more at one time than your oven can hold. Unless you have a convection oven that allows you to bake successfully on more than two racks at a time, limit yourself to 1/2 to 2/3 cup of egg whites per batch. 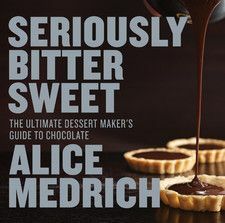 • You can fold chopped nuts, dried coconut, or bits of chocolate into the meringue after the sugar is added. Don’t add bits of dried fruit; these get too dry and hard in the oven. Thank you for this. I regularly keep a small container in the freezer that I add egg whites to and when it starts to fill either make meringues or angel food cake. For Dania U: Any fat will interfere with beating the egg whites. Egg yolks have fat in them. When my mother was teaching us to bake, she would have us separate each egg over a small bowl to capture the white. We'd then transfer the white in the small bowl to our mixing bowl. If you got a bit of egg yolk in the white, you set it aside to make a scrambled egg for your lunch; got another small bowl and proceeded. Sure, you can often separate several eggs without any problem -- but one bit of egg white will mess your whole bowl of egg whites. Lily P, & Jaycee: You can add vanilla or other extract as they're oil free. You can also flavor with freeze-dried fruit powders, e.g. freeze-dried raspberry powder. Or (one of my favorites) is to make a bowl of meringue to which I'll add ~1 T of light molasses. When the batter's ready to go, sift over the top of the bowl a mixture of some good unsweetened cocoa and cinnamon. 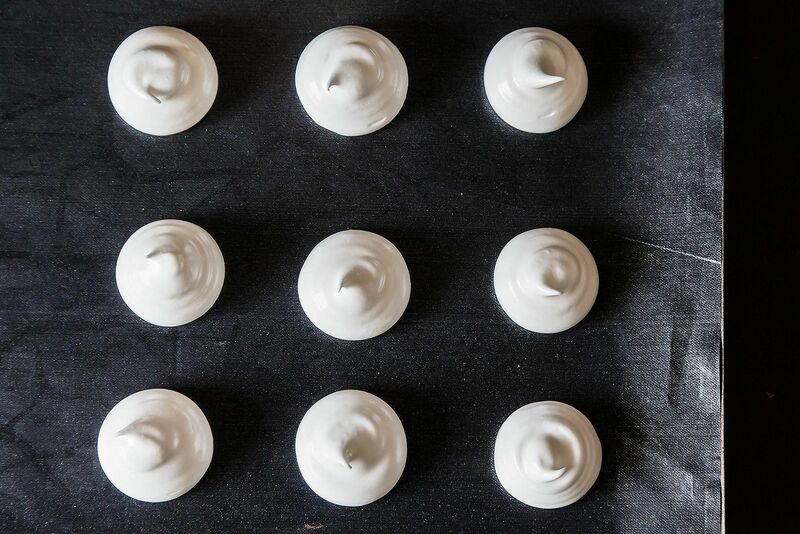 Use spoons to form your meringues. As you portion the dough you'll get swirls of the cinnamon/cocoa. Quite good. I mixed 2 egg whites and my yolk broke so a little bit went in with the whites . And I added 500 grams of sugar and now it’s a hard dough. What can I do with it now ? Not sure why yours is dough-like, but it might be because your sugar:white ratio was incorrect. Also, you cannot allow even a speck of yolk, which is a fat, into the whites. Even a trace of any fat (yolk, oil, butter) will prevent whites from aerating. To prevent this from happening, crack your egg against a flat surface, not a bowl edge; carefully separate the yolk from the white by doing it while the eggs are cold; allow the white to slip through your fingers into a small bowl. Place the unneeded yolk into a second bowl, and then pour each individual clean white together into a larger holding bowl. Separating a single white into a little bowl, then adding it to your bigger holding bowl with all the others will ensure that, if a bit of yolk does contaminate a white, only one egg white will be compromised instead of an entire bowl of them. Also, wash and rinse your hands in hot water and soap after separating the eggs, and rinse your hands, the beater whisk and mixing bowl with white vinegar. Dump the vinegar from the bowl but don’t rinse it or the whisk with water afterward. This ensures any accidental fats are removed from your hands and mixer components, and the traces of vinegar left on them act as a protein tightener the way cream of tartar does. This creates a stiffer and more stable meringue. 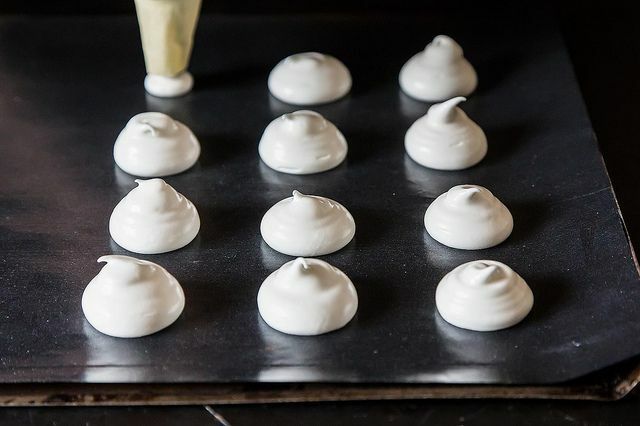 Finally, if you flavor your meringues, make sure your flavoring is not oil-based, or you’ll deflate the whites and end up with eggwhite soup that cannot be salvaged. Thanks for the ratio. My Eaton Mess will be all the better for it. The last photo above, shows a tray with stems and caps ready to bake a dozen mushroom meringues. I used to make them every Christmas. The stems are added to the cpas with chocolate and a drift of cocoa over the caps is perfection. Hi. I would like to know about the vanilla as well. Is it missing from the recipe or do you feel it is not needed? I’m a pastry chef who regularly makes meringues for clients. I never add vanilla unless a requested flavor profile requires it. 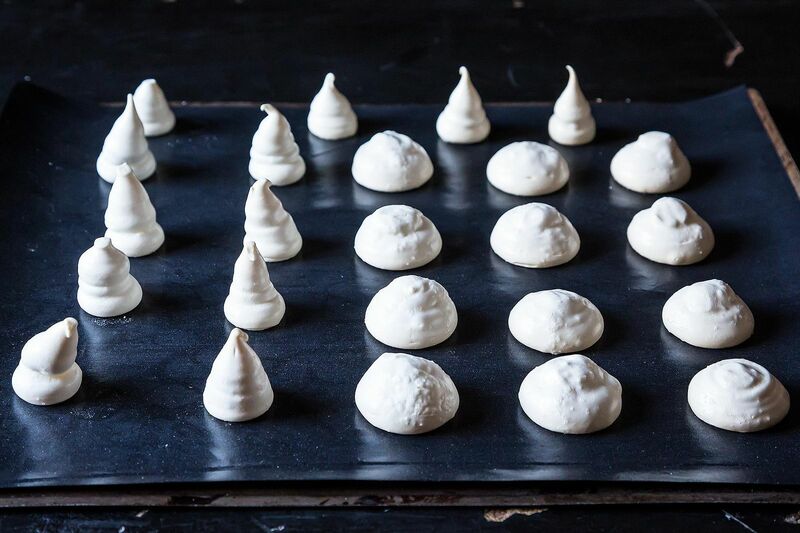 The meringues have a delicate flavor without it, and the perfect white color is dulled by vanilla extract. If I do decide to make a vanilla flavored meringue, I use vanilla bean, or sometimes vanilla powder, though the powder is far inferior to pure vanilla. 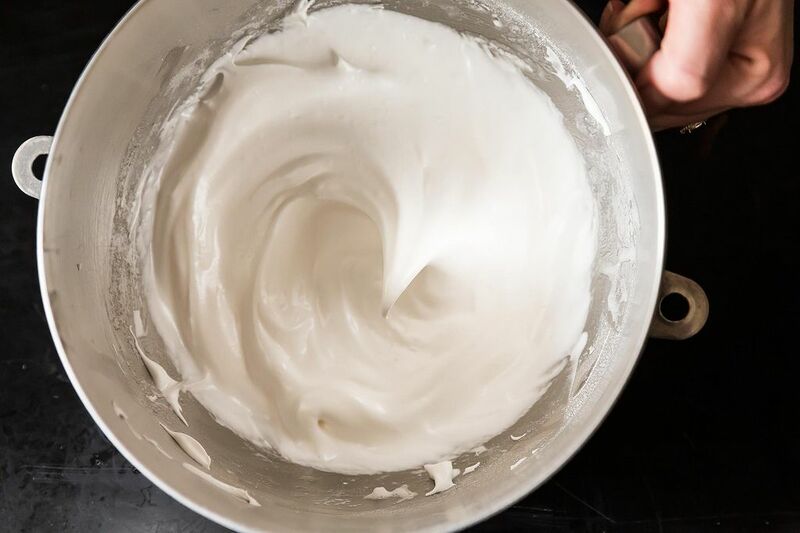 If you choose to flavor your meringues, make sure your flavor of choice does not contain oil. You can also use powdered fruits, or liqueur/alcohol, but be mindful of the amount. I make meringues often, and my Pavlova is famous with family and friends. I've found that baking the meringue last thing in the evening and then leaving them to cool overnight makes for the best result. Perfect ratio, thank you ! Superb meringues every time, very crunchy and light... I baked mine 40 to 50 minutes, it was enough (as soon as they're dry to touch, I turn off the heat and forget them in the oven for an hour or so). Your ratio is by volume. Do you have a mass-based ratio? Sure, for every 260 grams of egg whites you want 400 grams of sugar and 2 grams of cream of tartar. Oh thank you so much for this! I always end up with so many egg whites, which I dutifully freeze, and then don't know what to do with them. I thought meringues were something hugely elaborate, and they don't seem so. Now I can make Eton mess!!!! I usually freeze any leftover eggwhites. They freeze and thaw very well and I've not seen much different between frozen/thawed white vs 'fresh' egg whites. But it's good to know the magic ratio for meringues. Great article! Love that this classic recipe is both gluten-free and lactose-free.. So easy!